A group of citizens have written to Prime Minister Ranil Wickremesinghe requesting for more transparency and public participation in the proposed Western region Megapolis Development Plan. We appreciate the initiative to seek people’s views and concerns regarding the proposed megapolis. 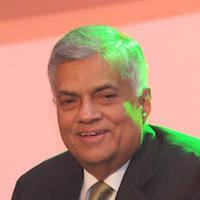 Events such as the forum convened in Colombo on 30 November by the Minister for Megapolis and Western Region Development are most welcome, being a clear and refreshing departure from the practices of the past. The process and structure for public consultation that will be followed across the western region. The schedule and sequencing of various activities including planning, consultation, review, and the phases of implementation. Measures taken to ensure complete transparency and public access to all information regarding the planning in all three languages. The sequencing and scheduling of major individual projects that make up the megapolis plan—it is especially important that public have prior knowledge of proposed projects. Ensure participation and strengthening of elected local government authorities: Local authorities in the western region currently appear marginalised from the process. This is not conducive to democracy and good governance, or for expansion of their capacities. We urge you to outline measures that will be taken to ensure their fullest participation and shared ownership as well as build their capacities. Ensure inter-agency balance, coordination and learning: It is crucial that the agency responsible for the planning of the megapolis does not become what the Urban Development Authority was under the previous regime: all-powerful and vertically rather than horizontally aligned with other agencies. There needs to be more effective institutional balance and synergies between various agencies mandated to deal with housing, transport, basic services, environment, etc., that must be involved and we call on you to outline specific measures for inter-agency coordination and involvement so that expertise and experience is effectively transferred and deployed. Consult before legislating special powers: From statements made by Minister Ranawaka as well as media sources it is clear that a new law is being proposed to grant special powers to plan and implement the megapolis project. We are concerned about the scale and extent of these special powers and the impact they may have on people and communities. We request you to ensure a draft is placed in the public domain for discussion before being tabled in Parliament. Commit to strengthening and applying the National Involuntary Resettlement Policy: We welcome Minister Ranawaka’s assurance that no one will be forcibly relocated and that due process will be followed for any land acquisition in connection with the megapolis project. However we call on you to commit that the National Involuntary Resettlement Policy, introduced by your government in 2001, will be a) updated where needed to reflect the best international safeguards standards and b) applied in all cases where relocation or land acquisition is found to be absolutely necessary. Adopt community-driven location specific housing solutions: Sri Lanka has a history of pioneering community-centred participatory housing projects for the poor and the lower middle classes. We are concerned over reports that high maintenance and energy intensive high-rise buildings are being advocated as the primary approach to re-housing disadvantaged communities, despite its many drawbacks. We call on you to commit to adopting a community driven and participatory, location specific in-situ housing rather than one-size fits all high-rise projects. Prioritise public transport and avoid supplier-driven capital-intensive solutions: We call on you to ensure that transport solutions are geared towards prioritising public transport, lowering fuel consumption, enhancing sustainability. We urge you to commit to a phased implementation of the urban transport master plan for the Colombo metro region that was developed with support from the Japan International Cooperation Agency (JICA) and recently revised by the University of Moratuwa. Prioritise environmental protection: Ensure environmental assessments, which are conducted independently and professionally are placed in the public domain for review, underpin the overall plan for the megapolis as well as every major project component. Develop a comprehensive set of principles to guide the planning and implementation process: We urge you to draft a comprehensive set of principles and goals drawing on and reflecting all of the above to steer the thinking of planners and other experts involved in the planning, design and implementation of the megapolis. Such principles must take into account the fact that the western region actually has a large concentration of relatively poor and economically marginalized population that is actively contributing to the region’s formal and informal economy. It is vital that any development plan centre on enhancing their full participation, well-being and quality of life. It is also equally important that such development is in line with equitable national resource allocations to meet development needs in other parts of the country, especially regions with comparatively low standards of essential infrastructure and services. The forthcoming White Paper on the megapolis presents an opportunity to enunciate these principles and goals. We appreciate the urgency to launch specific measures and projects related to the western region as demonstrable evidence of benefits. We also appreciate your intention to base such initiatives upon a comprehensive urban development plan. However, we ask that you would first outline a comprehensive set of principles with goals, to guide some initial projects that may be commenced expeditiously while allowing time for a more comprehensive and participatory development and review of the plan as a whole, in all its detail. Honourable Prime Minister, in the light of government’s repeated assurances of strong commitment to democracy and good governance we are hopeful that you will consider citizen’s participation, the concerns and issues we have raised. The Western Region Megapolis Plan is a unique opportunity to create a development scheme that is truly democratic in both its creation and application, and genuinely a ‘plan of the people’. We believe that addressing the issues we have raised will not only go a long way in ensuring wider ownership of the process but also more positive outcomes for the western region and the country as a whole. I endorse this request. We should learn lessons from India’s recent artificial Harbour projects, before interfering with the coast line of an island shaped by the seas and its currents. This is a risky affair, with possibly irredeemable negarive consequences. What ever the envisaged economic benefits in the short and medium term, enemy an iota of doubt of long term negative consequences have to make us pass and reconsider. I do not think we have the requisite expert expertise to evaluate the environmental impact of this project. China will not pay for these long term negative consequences, although it has come forward to finance ii and help build it. The Hambantota sea port and airport projects viz a viz Chinese financing and technical support, and their uselessness should be a warning to us. The Cinese built and financed Lakvijaya coal fired power plant , which is totally shut down at present, should ring alarm bells. As far as I am concern, we should tell the Chinese to get lost, if what they do for us, will harm our country in the long term. We have no right to sell the future of our country. High time the administration clarified for us what exactly is going on with this Port City project that they so vehemently opposed prior to being elected. We are subjected to conflicting news reports about this nearly daily, and we have yet to get a clear statement from the administration about what is REALLY going on. In any event, shouldn’t the EIA be made public so that we could express our views on it and then shouldn’t it be debated prior to being implemented? Instead we have the PM saying it will be “resumed”!! Time for some ‘truth’ from Yahapalanaya instead of so many conflicting statements that only serve to add to confusion. Or maybe this is part of the ‘smoke and mirror’ strategy by our so-called ‘leaders’! The was a public forum on the Megapolis recently which was given wide publicity in the press. The public was invited.That was good idea to get the people’s view. However the event too place on a weekday at 3.00pm, which was bad time and day. It should have been held on a Saturday. Before introducing anymore ‘MEGA’ plans, find ways to fund and maintain the existing white elephants and the environmental disasters they have caused or close them down for ever. Haven’t you stupid politicians spend enough of the poor, working class taxpayers money to maintain the living standards of a handful of elites?. This island will never recover from the state it is in economically and ethically. What a sad situ…..? Aba Saranai! I have been visiting Colombo6 and finding that new blocks of flats have been coming up so close to the existing ones that the residents in the latter are forced to have electric light 24 hrs a day as theonly source of light. Imagine the state of fresh air for these unfortunate people. Complaints to Jaffna Municipality has been earning only stony silence. Pl remove this – it was accidental to have said Jaffna when I should have said Colombo. You’ve published the right version below. I have been visiting Colombo6 and finding that new blocks of flats have been coming up so close to the existing ones that the residents in the latter are forced to have electric light 24 hrs a day as theonly source of light. Imagine the state of fresh air for these unfortunate people. Complaints to Colombo Municipality has been earning only stony silence. These eminent dudes have left out the most important.Is it an oversight or a Yahapalana protocol..
That is to ask Batalanda Ranil to keep the Commissions to the minimum. And keep ,Perpetual, Mahendran,Resurgent family friend Koralawela, and even Sir Nihal away from providing financial support or even seed capital. BTW, the Sinhala Buddhist undergrads call the Megapolis Minister Hothambuwa.